The single currency’s share of global foreign exchange reserves is at a 12-year low. Reserve managers haven’t bought euros to compensate for the fall in its value. Central banks’ lack of commitment to balanced forex portfolios leaves the euro free to fall further. Euro coins are seen in front of a displayed stock graph in this picture illustration taken in Zenica, March 13, 2015. The U.S. dollar increased its share of allocated international reserves to 62.9 percent among global central banks in the fourth quarter, data from the International Monetary Fund showed on March 31. 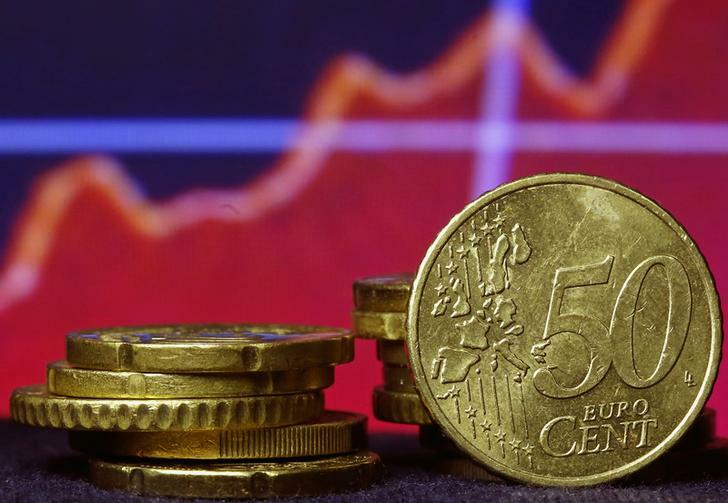 Euro reserves represented a 22.2 percent share, down from 22.6 percent in the third quarter. At its peak in 2009, the euro’s share of reserves was 28 percent.